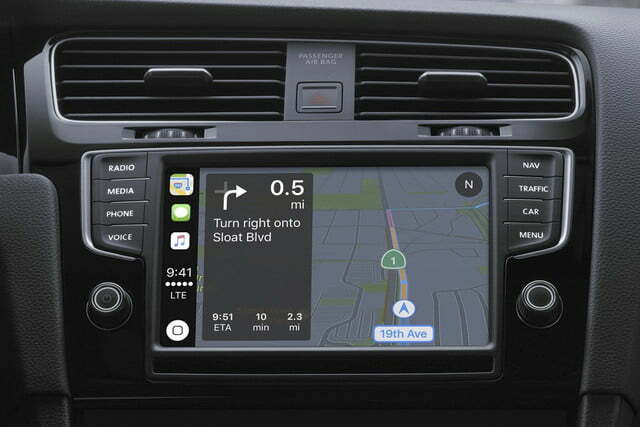 We’ve reexamined CarPlay to reflect the changes that came with the release of iOS 10. Improvements include increased app support and an optimized user interface. The term “car stereo” doesn’t adequately describe what’s in the dash of most new cars. Over the past few years, what was once a simple music-making machine has morphed into a full-blown infotainment console with enough power to fly the USS Enterprise. Today, even modest factory-installed units come with touchscreens and Bluetooth, but if you upgrade your deck (factory or otherwise), it can double as a 360-degree camera monitor, a speakerphone, a navigational tool, or even a movie screen. For as fancy as today’s car stereos are, however, there’s one nut they’ve yet to crack: how to keep drivers’ eyes off of their phones and on the road. That’s where Apple’s CarPlay comes in. 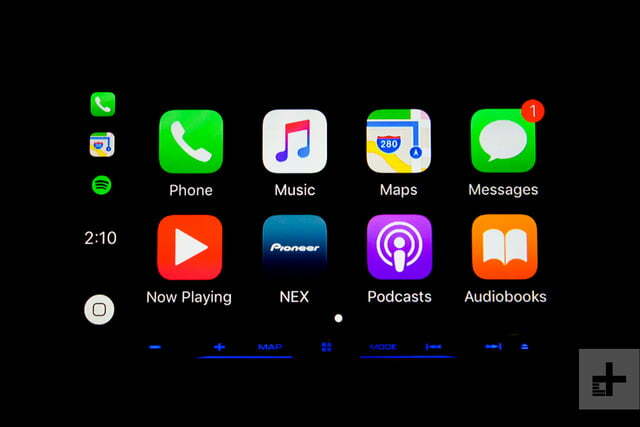 CarPlay is essentially iOS for your dashboard. 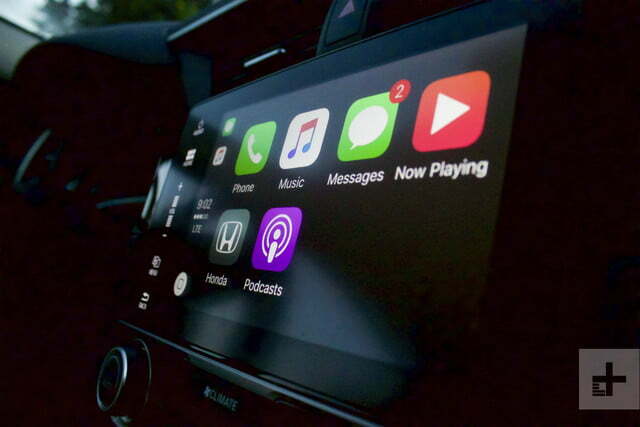 By placing the most popular iPhone functions on a big screen right in the center of a car’s dashboard and adding enhanced voice control and interaction through Siri, Apple aims to make using your iPhone while driving an easier and, more importantly, safer affair. That’s the idea, anyway. When Pioneer announced that its NEX-series in-dash receivers could finally be updated with CarPlay, I raced home, updated my deck, and hit the blacktop for a six-hour road trip to put the system through the wringer. I learned that CarPlay has the power to change what motorists expect from in-car entertainment systems, and possibly even save a few lives. The list of CarPlay-compatible models ranges from basic vehicles to high-end supercars. 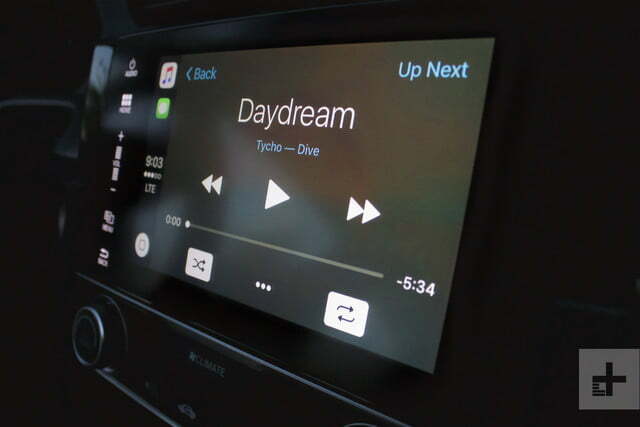 The list of CarPlay-compatible models continues to grow every year. 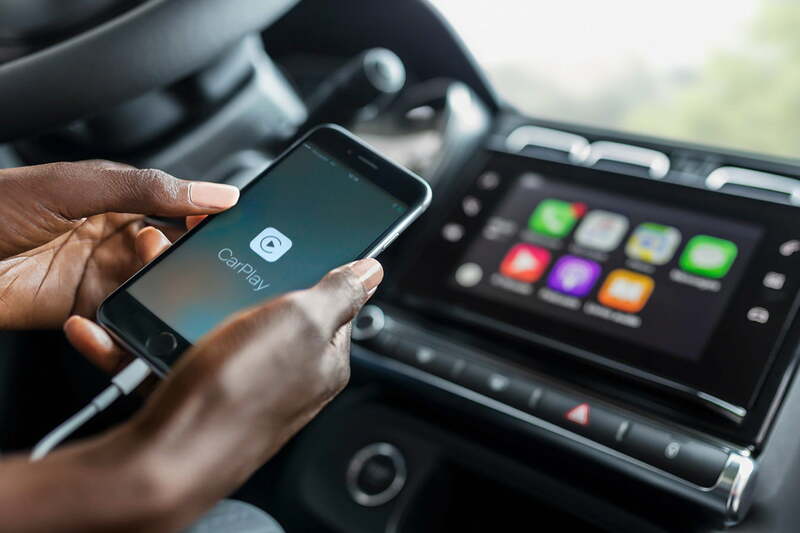 They range from relatively basic cars like the Chevrolet Spark to high-end supercars like the Lamborghini Aventador S. Volvo, Honda, Porsche, and Ford are among the dozens of brands that offer CarPlay compatibility. Note that some companies make buyers pay extra for the tech, while others bundle it in an expensive option package. CarPlay is already a couple of years old, so finding a used car compatible with it is becoming easier. For those who don’t want to get a new set of wheels, Alpine, Clarion, Kenwood, Pioneer, and Sony all offer aftermarket in-dash receivers that support CarPlay. The car is only part of the equation, however. The software won’t work if you’re using a device older than the iPhone 5. 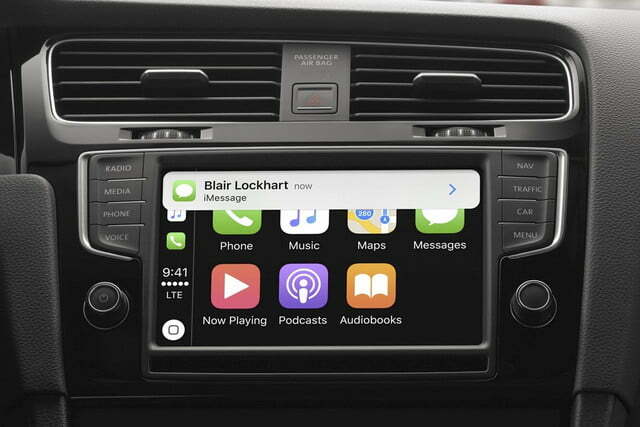 As Apple fans have come to expect, CarPlay works just like the iPhone does. CarPlay was riddled with glitches and bugs upon its initial debut, which brought our Apple-in-the-car party to a screeching halt. With the subsequent upgrades – notably the release of iOS 10 – CarPlay now provides the smooth, intuitive experience Apple promised. Press the familiar green phone icon, and Siri will immediately come to your aid, asking, “Who would you like to call?,” or some variant thereof. You can then dictate any name from your contact list, and Siri will place the call. CarPlay reduces distractions behind the wheel, and being able to summon Siri makes driving more convenient. If you don’t feel like dealing with Siri, that’s OK, too. You may skip right past Siri and look up the person you want to call using all of the familiar tabs available on your iPhone; Favorites, Recents, and Contacts are readily available. 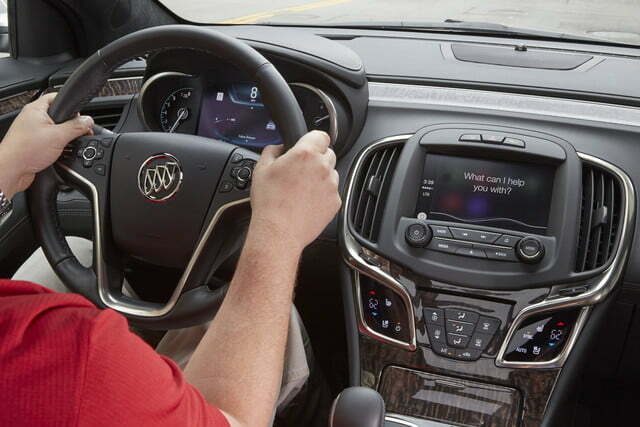 From there you may scroll around using touch controls or any built-in cursor control your vehicle offers. Access to the keypad and visual voice mail is also one touch away. The original CarPlay package functioned just like iPhone, meaning you had to press the Home button to back out of whatever app you were using. The latest version, however, has added three app icons on the status bar – for Navigation, Communication, and Entertainment – meaning the driver can switch between apps without going all the way back to the main screen. It’s a simple shortcut, but it makes navigating between CarPlay’s different functions significantly easier. 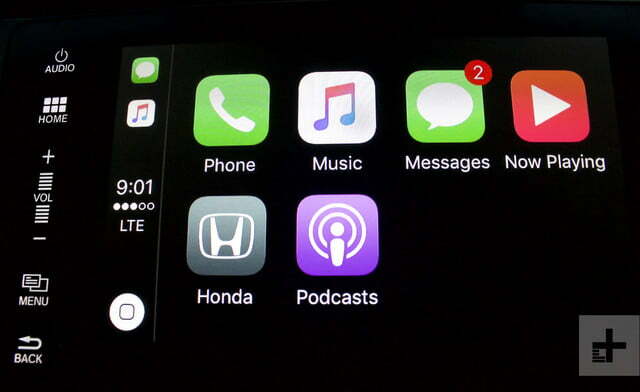 CarPlay’s Messages app is one of our favorite features. 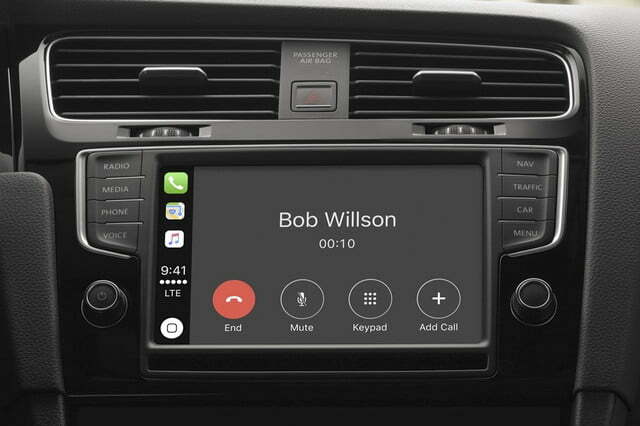 If you receive a message while connected to CarPlay, an alert will appear at the top of the screen, no matter what you’re doing. It is your choice whether or not to pull up the message, but if you do, Siri will ask you if you want to have the message read to you. If you choose to respond, you’ll be given the option to review your response just to make sure Siri got it right, and change it if necessary. During our testing, we conducted extensive text-based conversations without once touching our phone … it was liberating. With CarPlay, Maps is more like the navigation hardware and software you really want in your car, only better in some ways, and not quite as advanced in others. Maps can access your contact list and Messages for addresses — that’s not something you can get from your TomTom or Garmin. Plus, Siri allows you to search for addresses without ever having to pick up your phone. Need to find a pizza joint or coffee shop? Just ask Siri. She’ll display the options nearby for you choose. Likewise, if you’re after a specific location, instructing Siri to find it for you usually turns out well. On the other hand, Maps doesn’t display street addresses in real time like Pioneer’s built-in navigational system does, nor does it provide as immersive a point-of-view experience while driving. For instance, its 3D rendering of buildings isn’t nearly as accurate. Of course, Apple is constantly tweaking the software and this is likely to change as Maps evolves over time. Music and Podcasts function exactly as you would expect them to, but with IOS 10 came an updated version of Apple Music. It’s a bold and fresh look, but it’s also much easier to navigate your library now. You can find a track by the artist, song, playlist, or category, and the Now Playing screen shows the user what’s coming next as well as the album the currently song is from. You can also simply ask Siri to play your favorite song by a particular artist, and your digital copilot will gladly oblige. And while Spotify was broken and bugged out when CarPlay launched, it’s fully functional now for all your streaming needs. 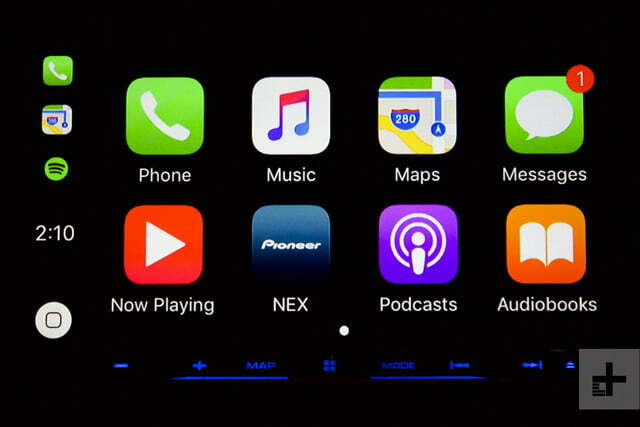 At launch, many of the third-party applications Apple promised were missing from CarPlay or non-functional. Frustrating, right? We’re glad to report that’s no longer the case. 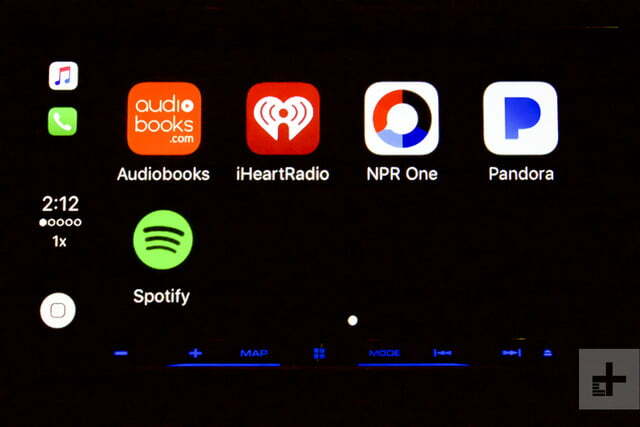 Motorists can access NPR One, Amazon, Stitcher, Pandora, iHeartRadio, and Spotify, among others. Got kids? Keep them occupied on long road trips with Radio Disney. What you won’t find are apps like Facebook, Snapchat, and Instagram – the point of CarPlay is to reduce distracted driving, after all. Giving drivers the ability to face-swap behind the wheel would be counterintuitive. 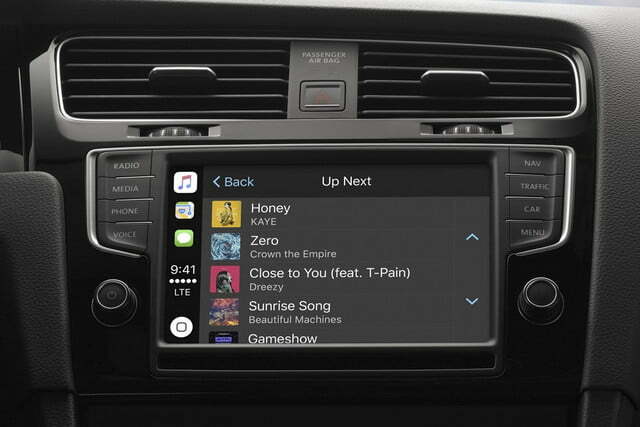 Apple has rectified many of the the issues that plagued CarPlay in its first few months on the market. It’s become a ton of fun to use, and it’s a lot of fun to show off, too. As promised, it reduces distractions behind the wheel, and being able to summon Siri makes driving more convenient. 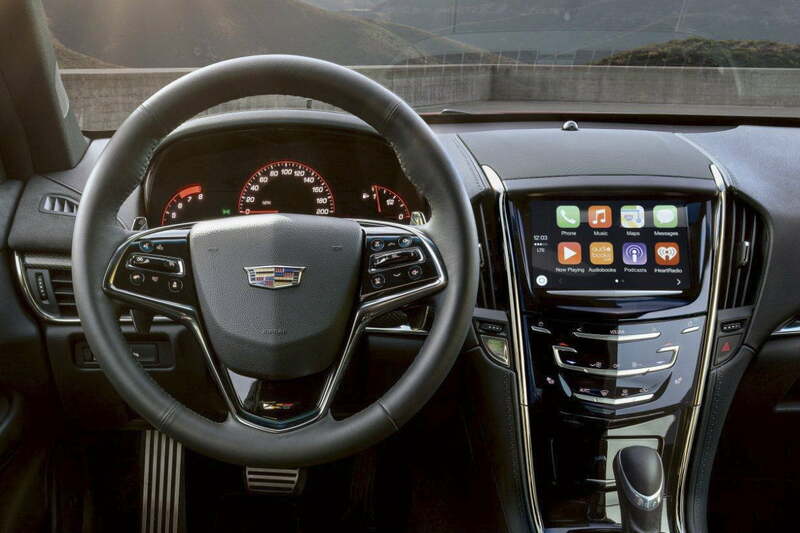 Apple CarPlay is your only option if you want to put iOS in your dashboard. If you’re more of an Android person, Google’s Android Auto software performs roughly the same tasks as CarPlay. Automakers are putting an increasingly big focus on in-car tech though, so native infotainment systems are much more advanced than they were just a few years ago. 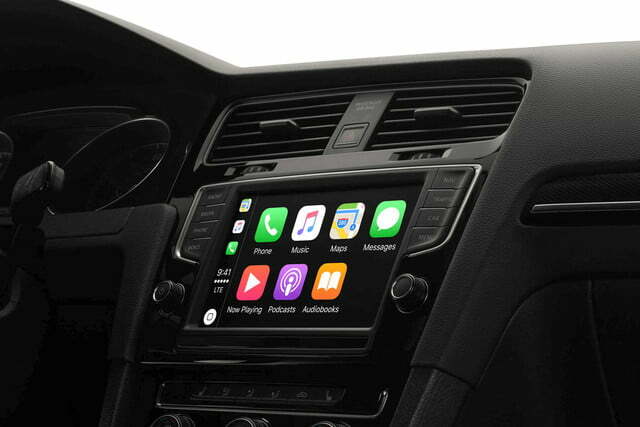 CarPlay is here to stay because Apple is serious about expanding its presence in the automotive industry. Engineers in Cupertino are constantly tweaking the software, meaning it’s sure to get better, sleeker, and more user-friendly while offering a growing array of features. CarPlay isn’t just for diehard Apple fans. Give it a shot if you’re confused by (or frustrated with) your car’s built-in infotainment system. We bet you’ll get hooked right away.